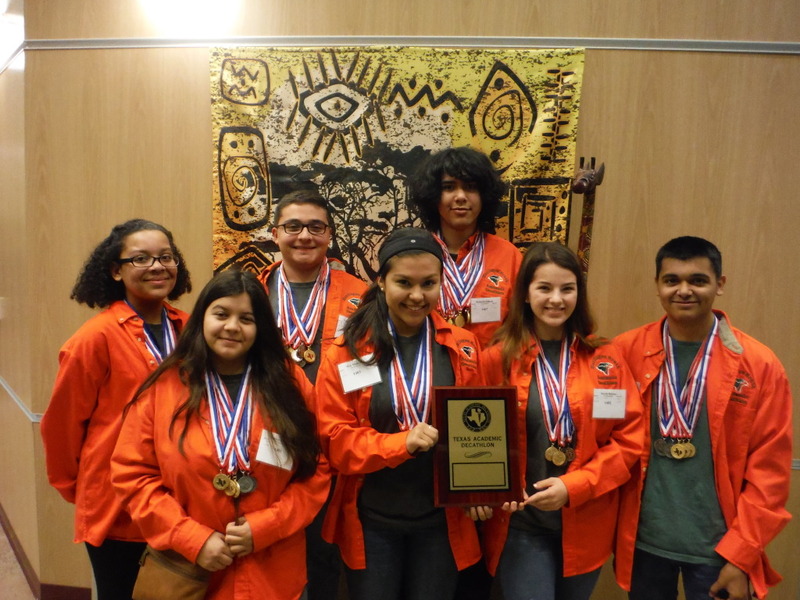 For the first time in a decade, the Harlingen High School South’s Academic Decathlon team is advancing to the Large School – Division I State Meet, to be held Feb. 22-25 in San Antonio. Only 40 teams in the state will be competing. To qualify, the team traveled to Corpus Christi to compete in the Texas Region III Meet held Jan. 19-20. The team emerged as Regional Champions and placed first in SuperQuiz – Large School.